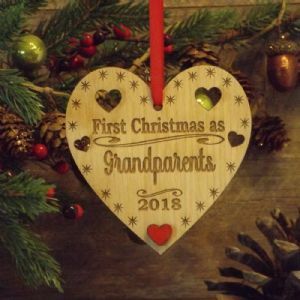 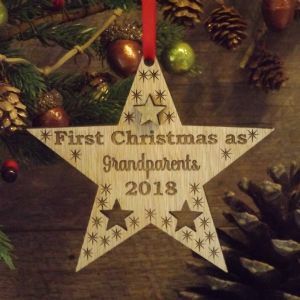 The perfect gift and memento to celebrate a 1st Christmas as Grandparents or Auntie & Uncle! 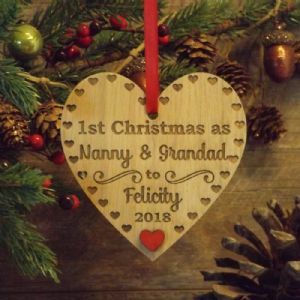 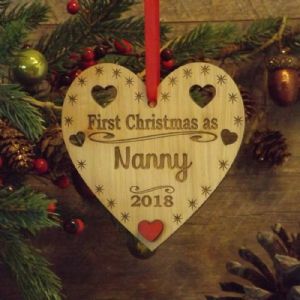 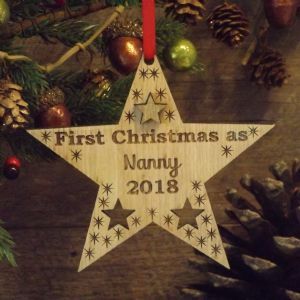 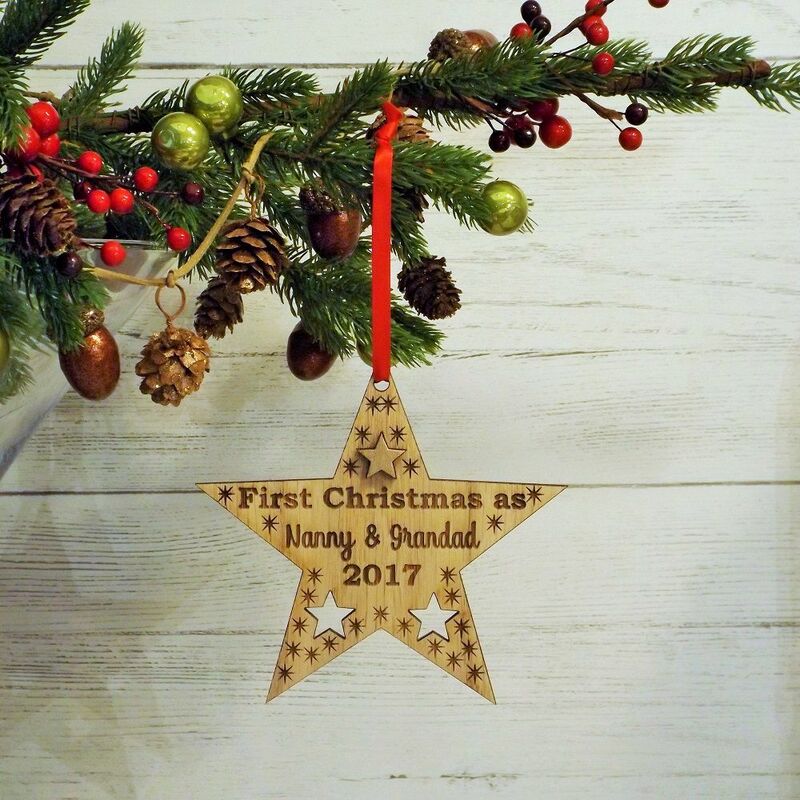 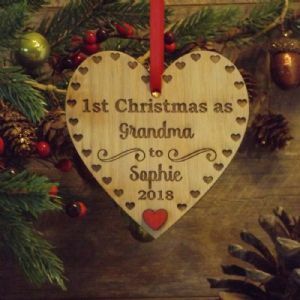 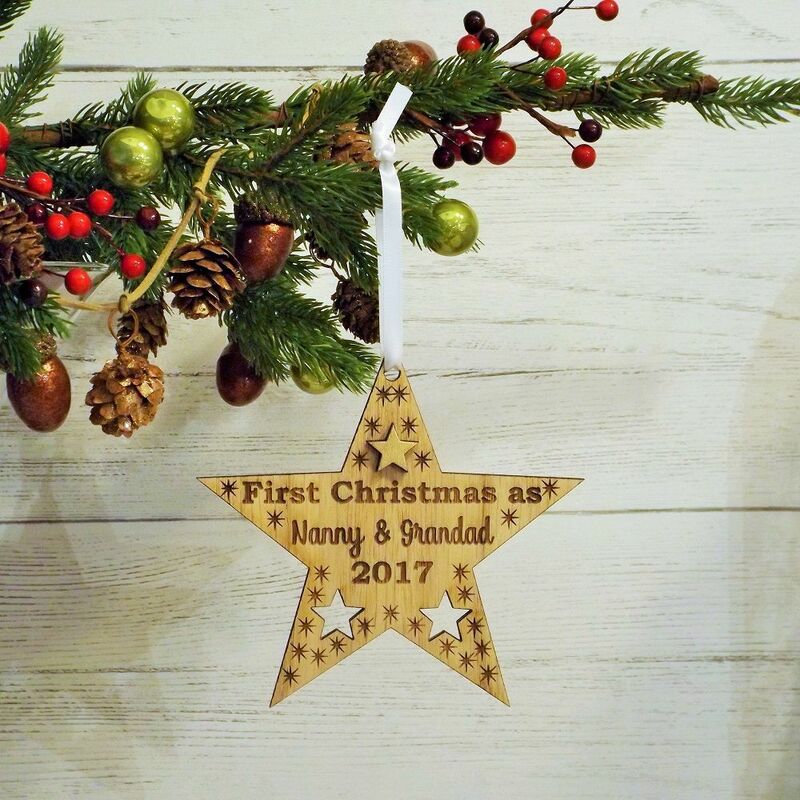 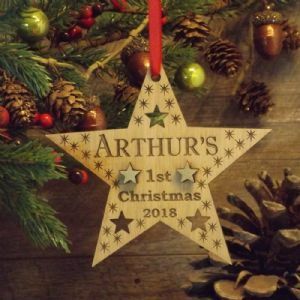 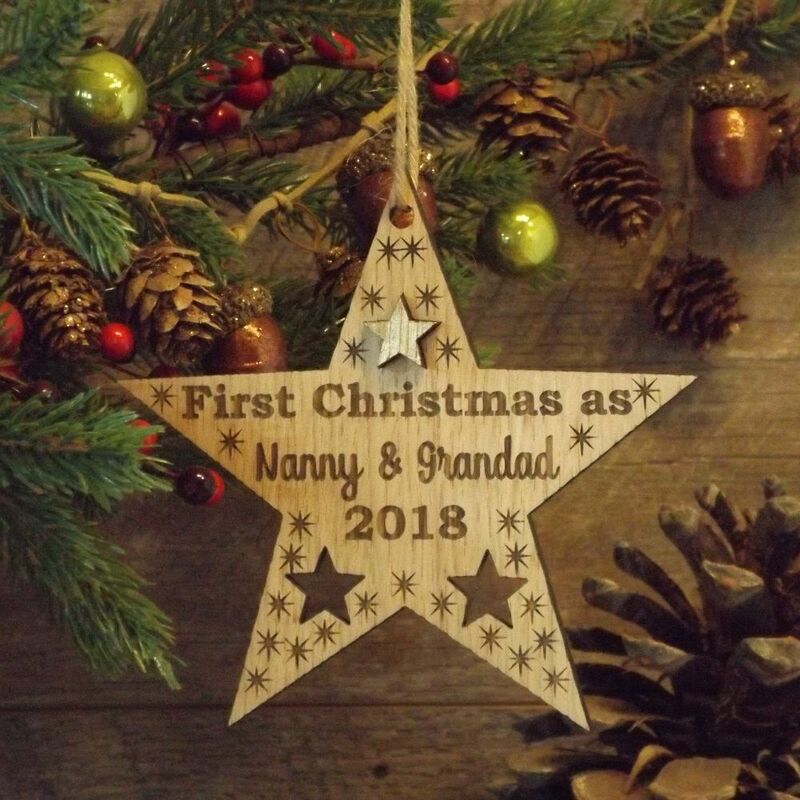 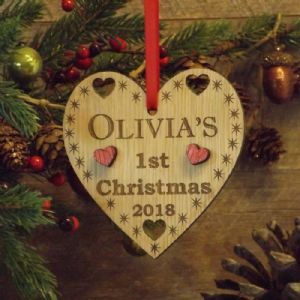 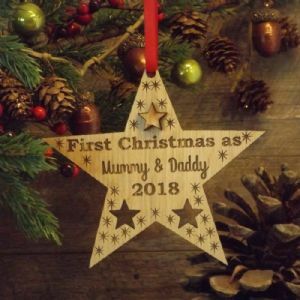 Our beautiful rustic wooden star decoration features the wording 'First Christmas as' and can be personalised with a maximum of two names/titles ie. 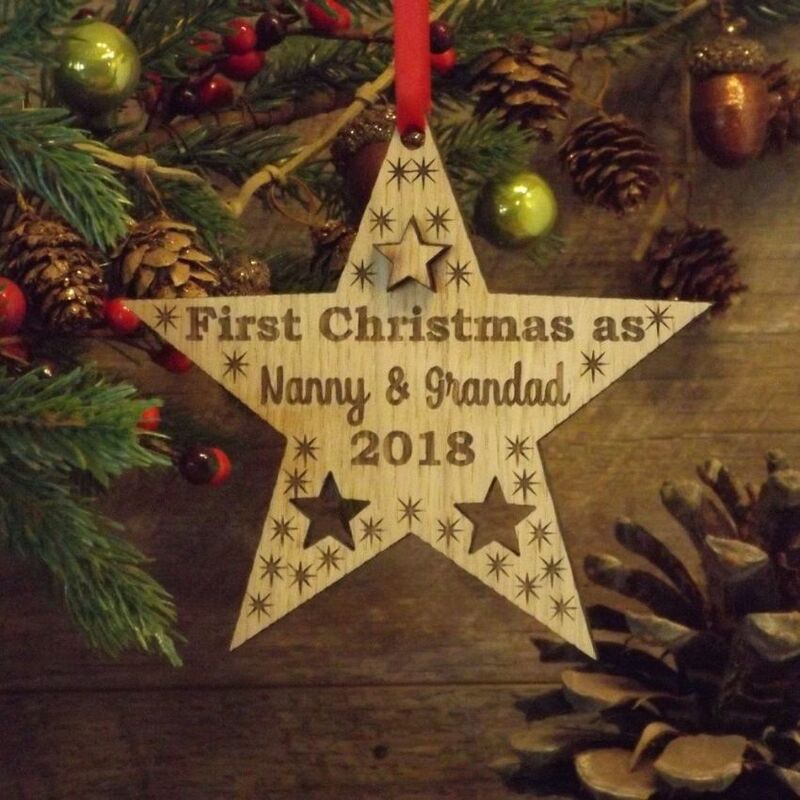 'Nanny & Grandad', 'Grandma & Grandad' or 'Auntie & Uncle' etc. Can also be personalised with the year of the first Christmas.